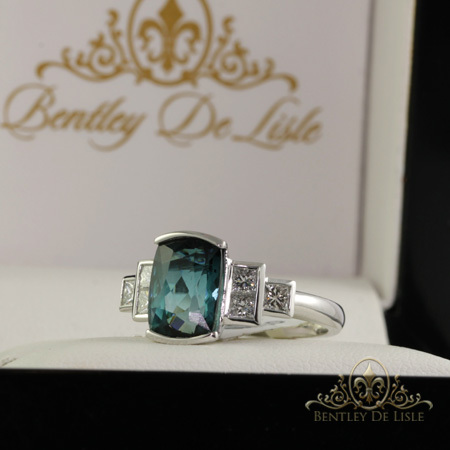 Stunning colour of deep blue ocean, this Indicolite Tourmaline Diamond ring will not be missed on your hand. Crafted with six princess cut Diamonds in classic design. 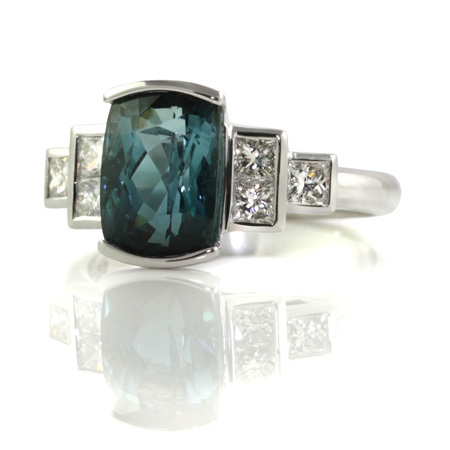 Indicolite Tourmaline weighing over 3 carat (details below) in an elegant bezel end set setting style. Crafted in 18ct white gold in size N but if your finger size is different, we can resize it or craft a brand new ring in your finger size. 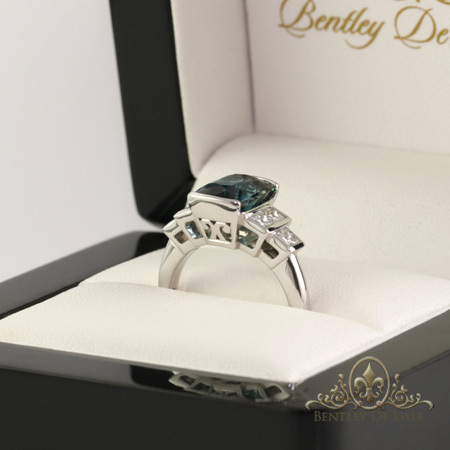 We are Brisbane based manufacturing jewellers specializing in custom made jewellery. 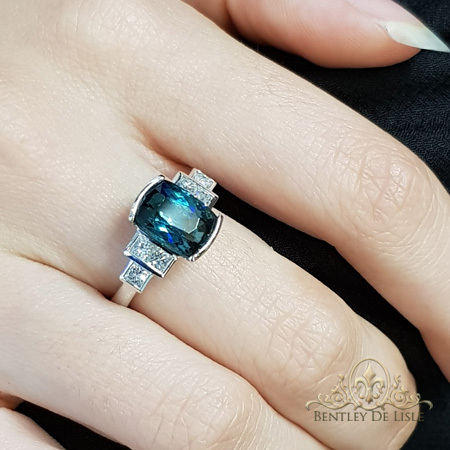 Explore our bridal, fine or antique style jewellery collections, or have your one of a kind piece created by our team of trusted and highly skilled jewellers.